2012 What a Year !!!! Closely followed by Roddy – you know what they say Roddy “nae photo nae fish” but as it was witnessed we will let you off 😀 – Roddy’s Brownie was estimated at 4lb plus also caught on the Reservoir. Both these fish were returned to the water. 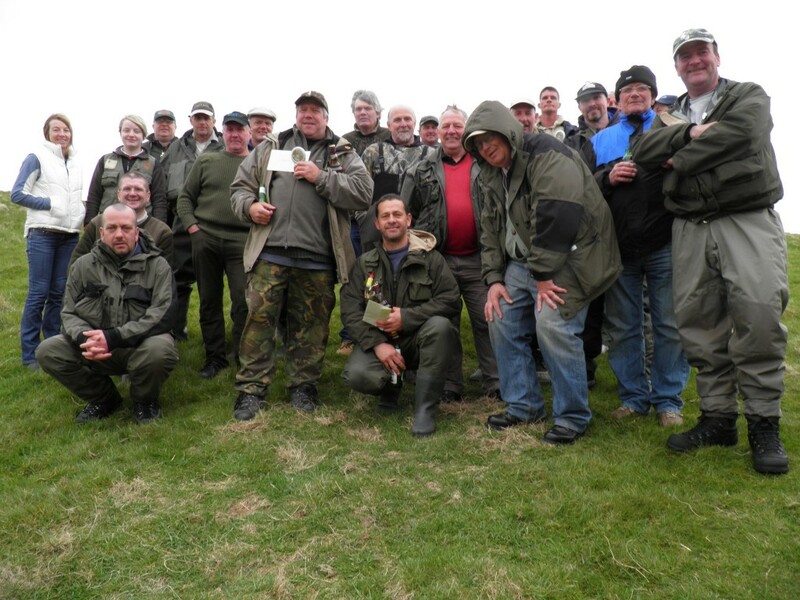 The majority of our anglers seem to return all the fish they catch with very few been taken for the pot – which is good for the association’s stock & means improved angling prospects for the future 😀 . Even though the accepted wisdom is that the Reservoir fishes best when it’s down a couple of feet – the catches have been well up this year on previous years. Some crackers were reported from the Upper Avon and our burns. 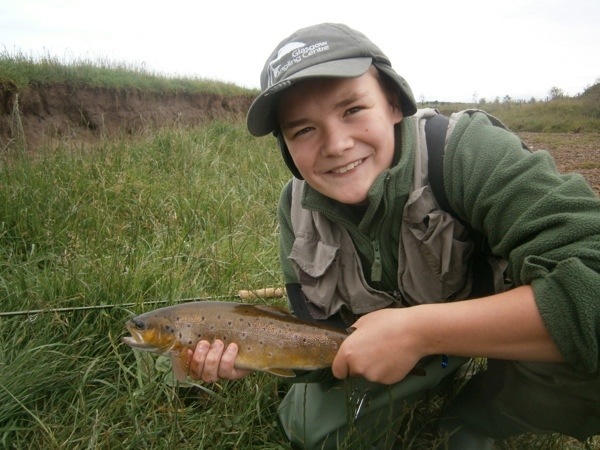 There were several reports of large Trout lost & some 4lb plus Brownies caught & returned – but just love the photo of Sam’s Brownie below with it’s rich colour & spade like tail. The great thing is that this Grayling season we have had some highlights – for many years our catches of the “Lady of the Stream” have been pretty non existent – but this winter 2012/13 we have had reports of 6 Grayling of over 40cm!!! The great thing about all our Grayling anglers is that they are all committed to Catch & Release so all these big Upper Avon Thymallus are back in the water and should spawn another generation of these wonderful Silvery fish :-D. Are we going to get a report of one longer than 40cm? But it’s worth making it clear you may need to work hard to find them. 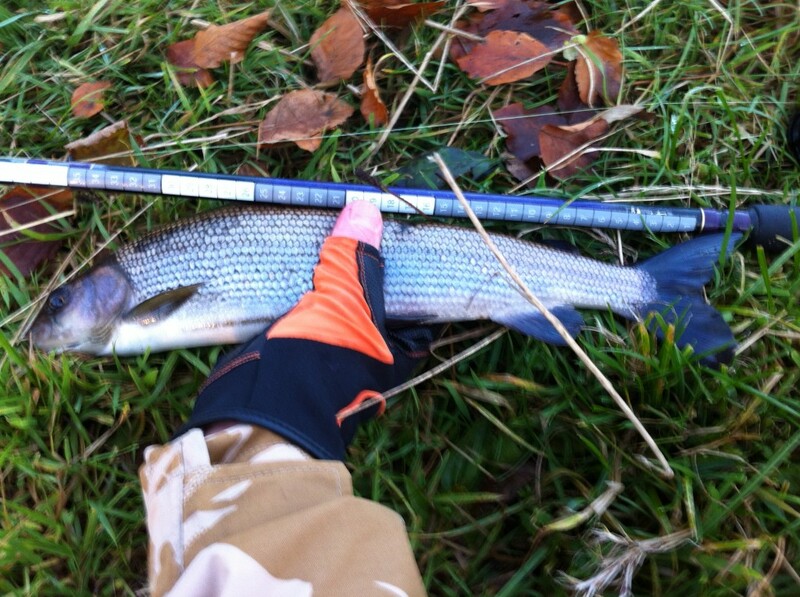 Please note that the club requests that all Upper Avon Grayling are returned. Some of our younger anglers are coming to the fore !!! The Association are very keen to encourage younger anglers – Under 13’s can fish Free Of Charge both on the River & at Glengavel. Providing there are suitably supervised. Sean on a trip to another River. A Grayling of a lifetime !!! Well done what a cracker!!! Our rearing ponds & hatchery goes from strength to strength year after year & our team need again to be congratulated – it was fantastic that Vid of the River Clyde Forum took the time to video a day at the hatchery & edit this excellent short movie – please watch the video & you might appreciate some of the work that goes on. 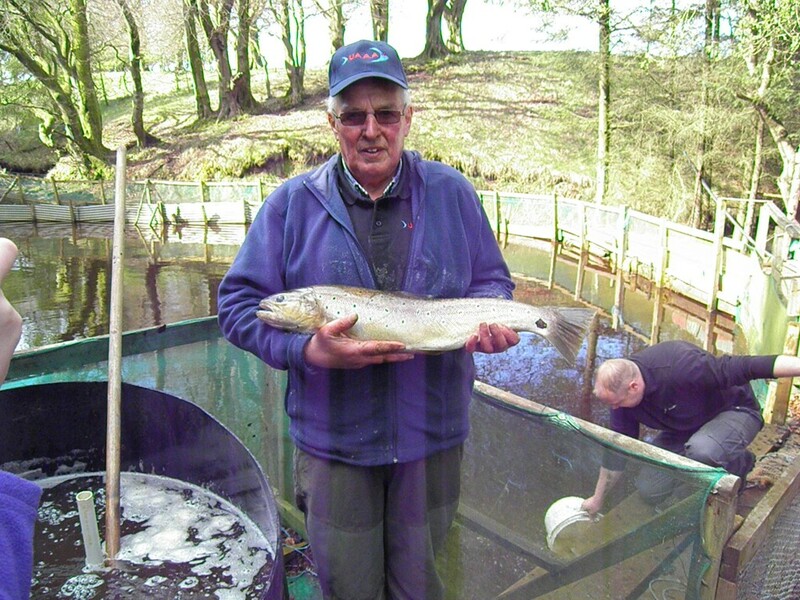 Jim proudly showing off a fine Brownie from the UAAA’s rearing ponds ready for stocking. Jim has worked tirelessly to ensure that the club has developed over the years since the clubs inception in 2006. Jim hasn’t been feeling well recently & we all wish him a speedy recovery. 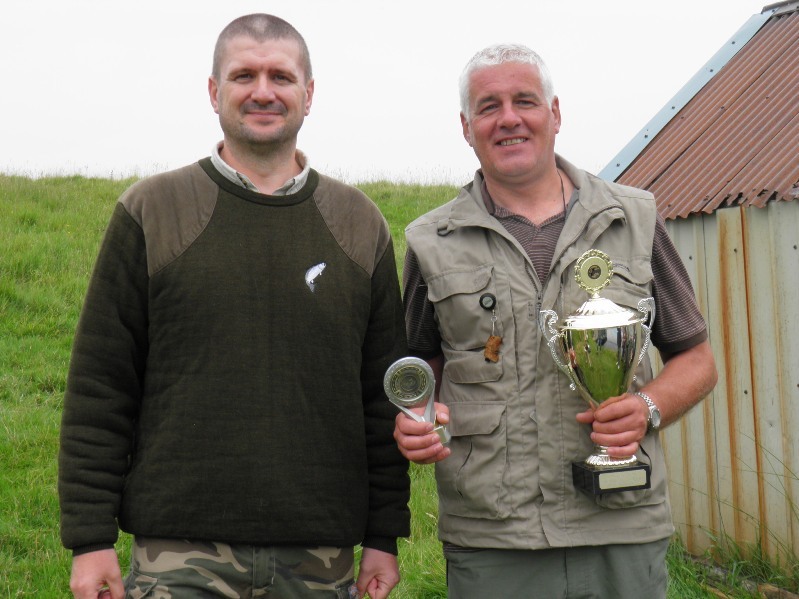 Well done to all our anglers who joined us for our Competition days at Glengavel – well done to our winners – the Three Amigos (Gordon Thorn, Billy Lindsay & David McIndoe – Team Fishing Competition) & Tommy Morrison (Members Competition) . The Competitors who braved it to the very end – well done to a hardy bunch!!! This report wouldn’t be complete without special mention of Bill Nelson who organised our first ever social evening & a big thank you to both Billys, Jim, Alfie & all the others who helped transform the Boat House into a Bistro – thanks to everybody who has worked hard to make 2012 another succesful year for the UAAA. 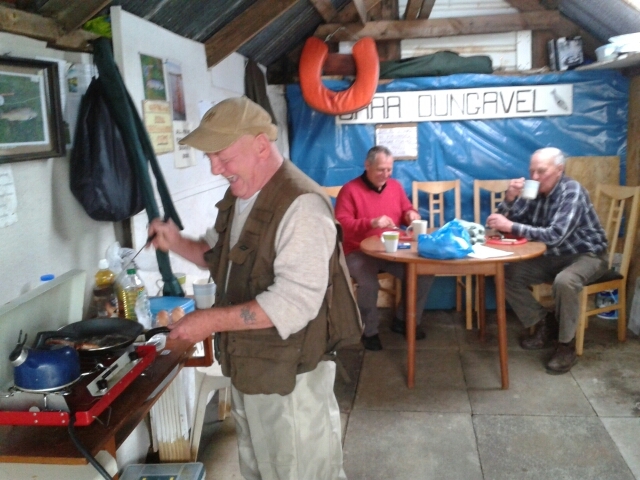 L to R Billy – Bill Nelson & JC Tait – being treated to a fried breakfast in the Boat House. 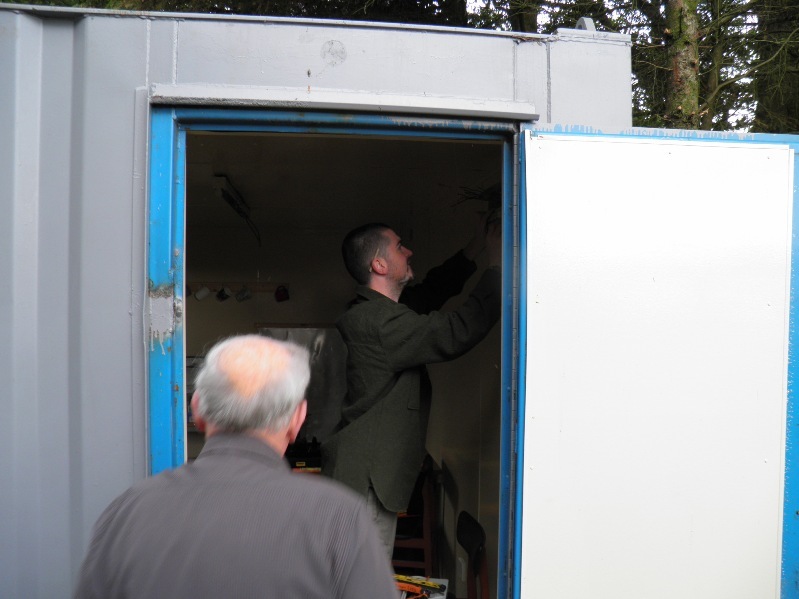 Also a big well done to all those involved in the “New Club House” project at the Hatchery & Rearing Ponds this was necesary as the shelter we had on site was an old carvan which has served us well but was never going to see us through another winter. Thanks to Grant Mitchell who did a great job of helping us raise the funds & to all those involved in the very tricky part of seeing the container into postion. Our Finances continue to improve year on year & we just want to say a big thank you to all our members who support our club by buying our permits. It is also important to credit Tommy Morrison (Club Champion) for the good work he is doing as Treasurer – Tommy is to the right in the photo below with Graeme Hamilton our long serving Ponds & Competiton Convenor. We would also like to say a big thank you to the outlets who sell our permits & to all our riparian owners who allow us to fish on there waters. 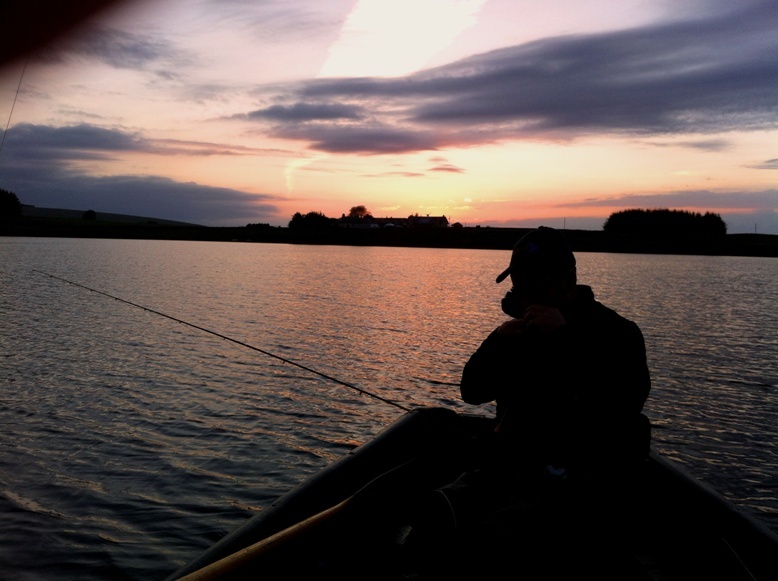 The photo below is of Wullie Weir the club’s Chairman out on one of our boats at Glengavel on a summers evening. 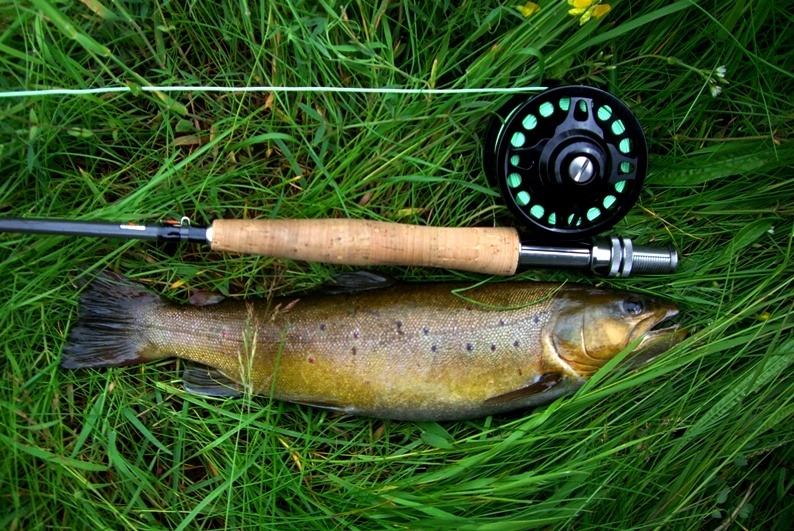 This entry was posted in Sport and tagged Fly Fishing. Bookmark the permalink.